Please send the payment form by fax. 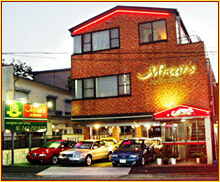 Mi-Cars was established in February of 1995. 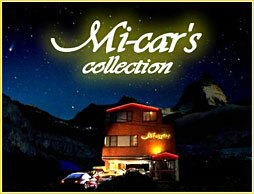 Under the name of 'Mi-Cars Collection', the company initially sold cars to friends and acquaintances using its know-how on how to buy cars cheaply, which was acquired through the love of cars. Three months after the initial start up became a member of auction houses nationwide, the company set up its official website. By selling nationally as well as to countries such as China and Korea, we were able to expand sales to car enthusiasts as well. 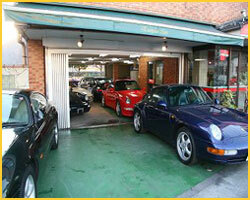 We also started providing after sales maintenance, insurance, and body repair services to customers. Competing in such races as the Alfa Romeo races, the Porsche Cup, endurance races, and others (Mercedes Benz, Audi, Volkswagen, Land Rover, Fiat, BMW), we were able to acquire car enthusiast customers nationwide. It is said that the Japanese used car export industry began to flourish about 15 years ago. The export companies then were mostly companies totally unrelated to the automobile industry (lacking in knowledge about automobile conditions), which collected obsolete cars and exported them in mass lots. Even now, the majority of export companies fall under the above category. Many used cars were available at this period in time, possibly because of the deflationary trend in cars, and unwanted cars had no trade-in value. They were shipped overseas 'as they were' and because of this, it seems Japan gained a bad reputation in this period for exporting cars of poor quality, cars with unknown mileage, cars damaged in accidents, stolen cars, etc. Exporters with no connection to the automotive industry operate their business soley on deskwork, with no knowledge or interest in the car itself. Many desk workers also do not even have a driver's license. 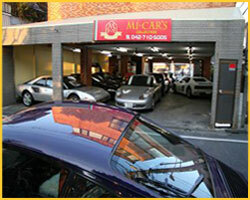 However, in contrast with the above image, Japanese used cars have a high reputation worldwide as being in excellent condition, as Japanese people take very good care of their cars, both externally and internally. Despite Japan's small geographical size, it is true that the condition of cars will vary both because of the extreme climatic difference in the north and south of Japan, and the care that the owner themselves gave to the car. Mi-cars is located in Tokyo between these two weather extremes. We do not regard sales as just a desk job. Our cars are carefully selected and come with a check sheet prepared by our professional mechanics to better match the customer's choice. Copyrights © MI-CAR'S. Powered By Eximweb.